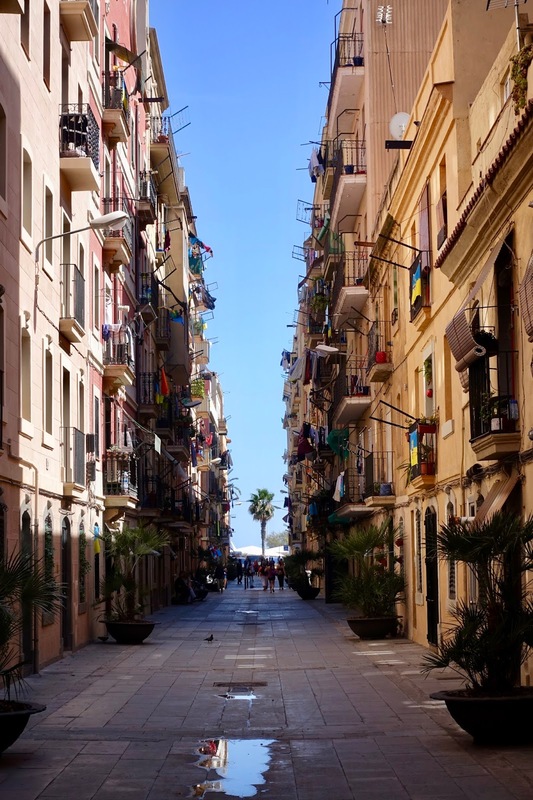 the oldest and most beautiful districts in Barcelona, the neighborhood of the Gothic Quarter. Another boutique hotel that sounds promising is The Serras Hotel, which is only 5 minutes away from the Mercer Hotel opposite of the Marina Port Vell, the old port of the city. I have not stayed here but critics are raving. But now to the main subject of this post, the review of the Mercer Hotel. 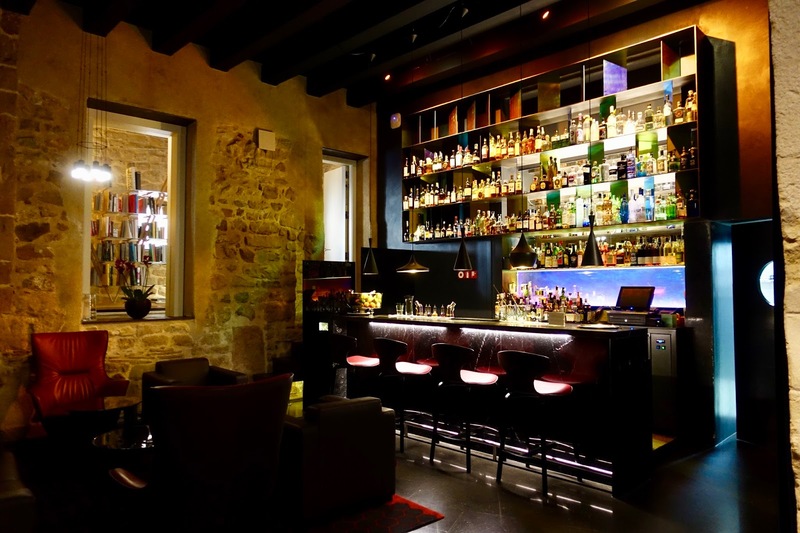 As already mentioned, the hotel is situated in the old town of Barcelona, in the centrally located Gothic Quarter. This is really one of my favorite neighborhoods in the city, a labyrinth of small streets and in proximity of most major sights. The Mercer is a little difficult to reach by car as the streets are extremely narrow but a taxi driver who knows his business will manage it. 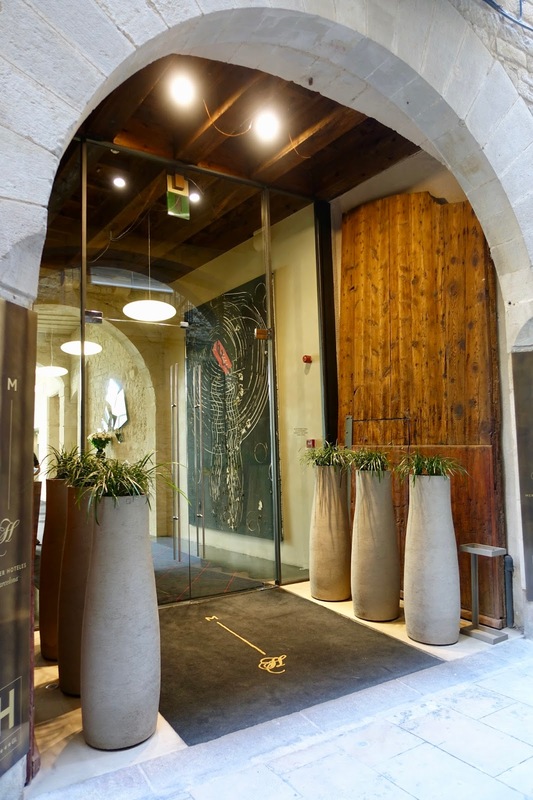 The hotel’s exterior is old, precisely what you expect from a building in the old town, but the interior is contemporary. It is beautifully decorated in a modern style with an eye-catching glazed courtyard. 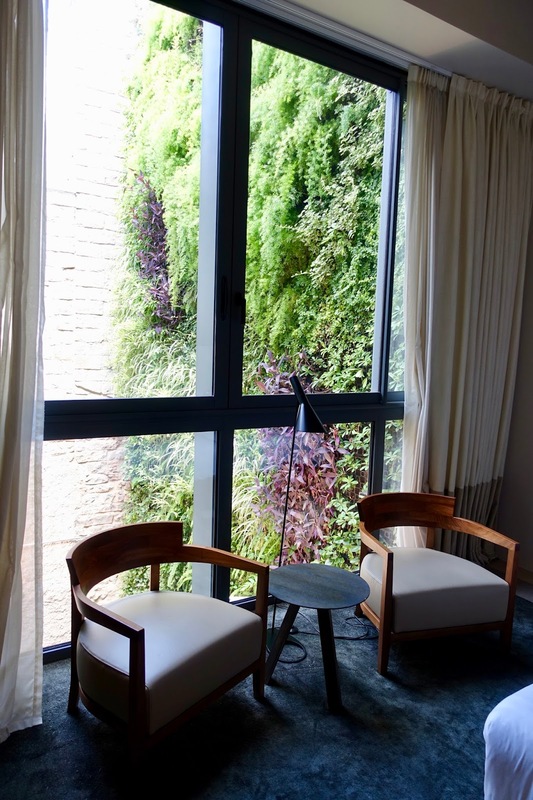 The hotel is built on top of a section of the ancient Roman city and this can be seen at various points, a successfully made integration of the old and the new! 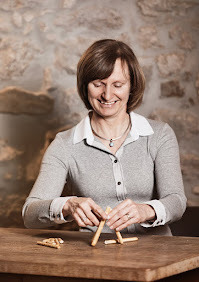 One of the highlight of Mercer Hotel is certainly its staff. All the employees we met were extremely accommodative, attentive and helpful. Everything was done to make us feel comfortable and nothing was too much trouble for them. I was really impressed by this high level of service! 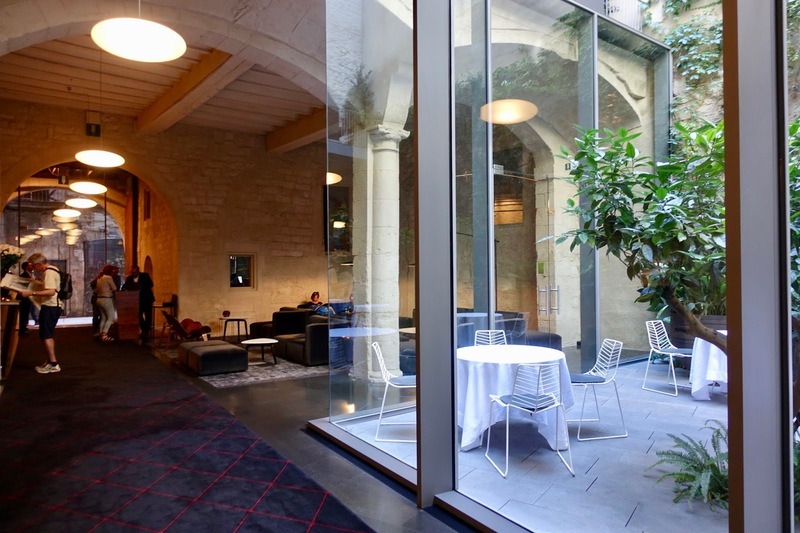 and a glazed courtyard where the breakfast is taken. 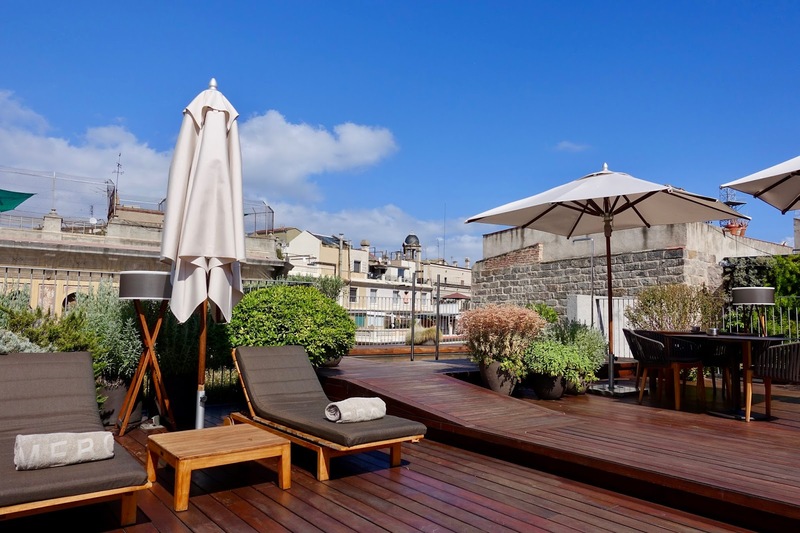 On the roof top there are a small pool, a sun deck and a bar with beautiful views over the roofs of Barcelona’s Gothic quarter. and with a view of the lovely vertical garden. We did not have dinner here so I cannot comment on this. 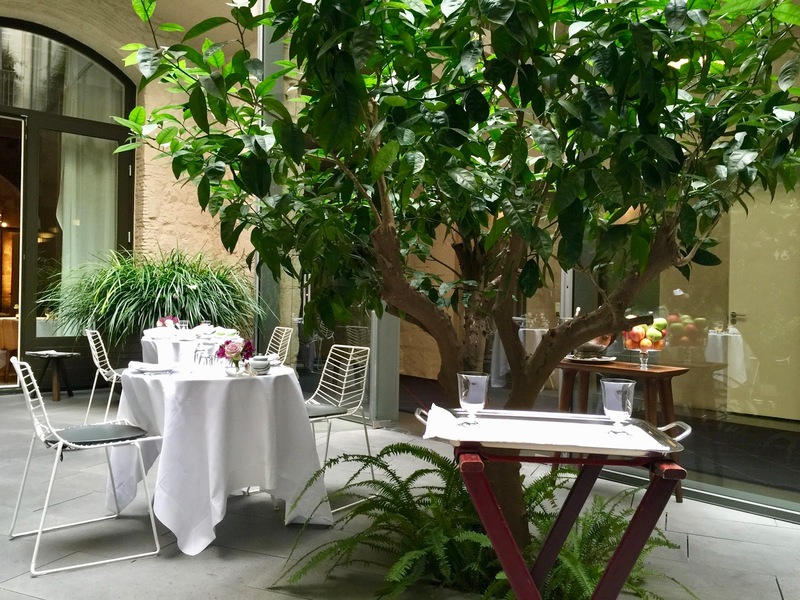 However, we had breakfast here, which is served in the orange tree courtyard. This is a nice setting for having a meal indeed. The breakfast is great too. There is an a la carte menu to order from and a buffet with a large selection of cakes. 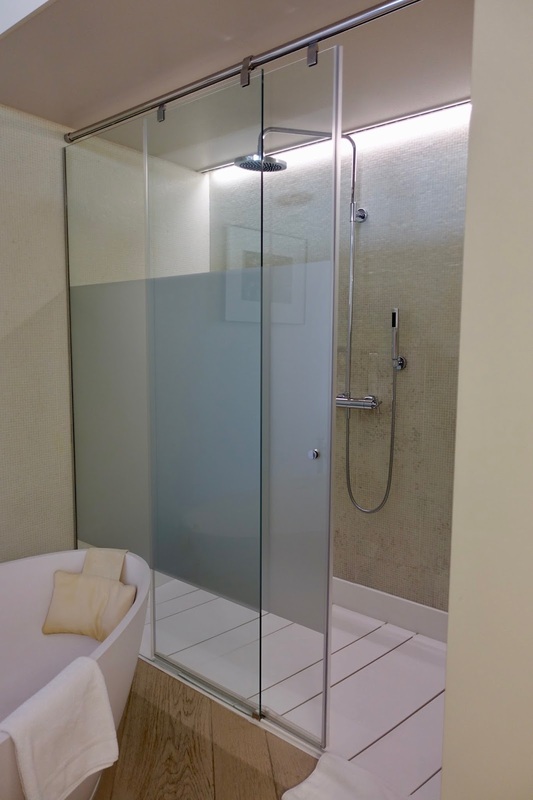 Everything we had was nicely prepared and of an excellent quality. 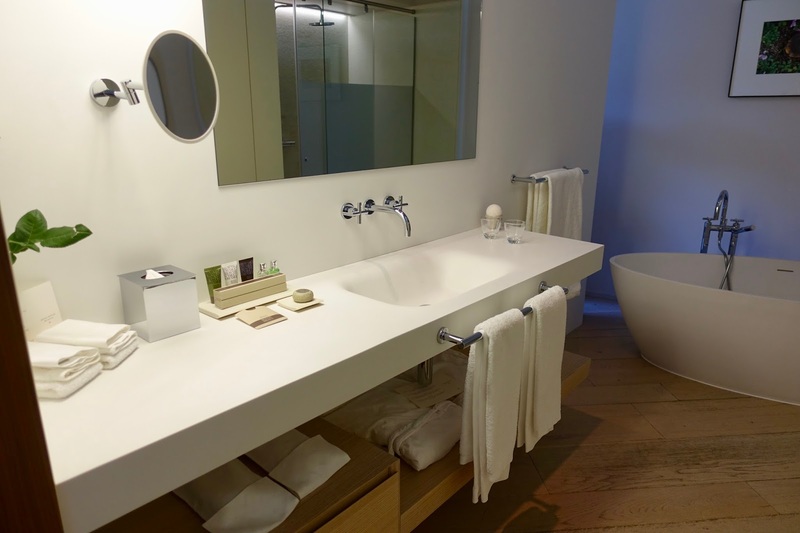 Although being one of the best five star hotels in Catalonia’s capital, prices here are fair given the favorable location, the immaculate facilities and the high service standard. Though some will miss a fitness room on the premises but after all it is a boutique hotel where some limitations have to be accepted. 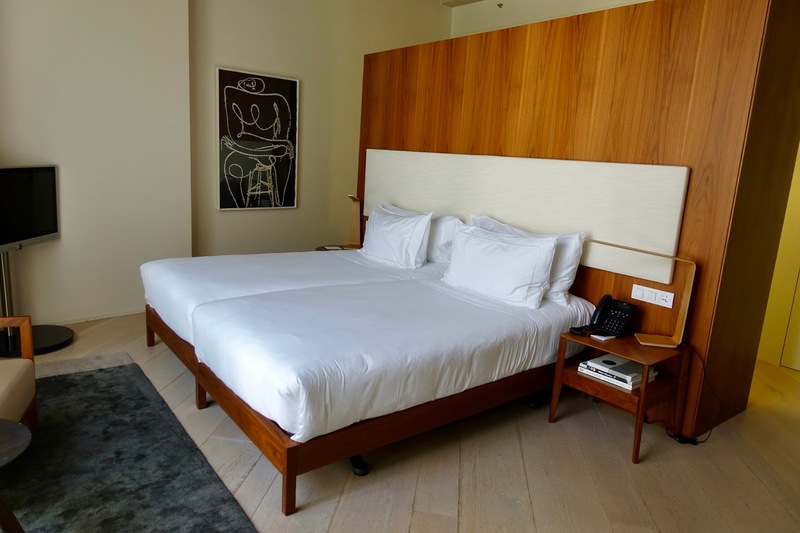 The Mercer is a premium boutique hotel and combines staying in historical surroundings with modern design and comfort. 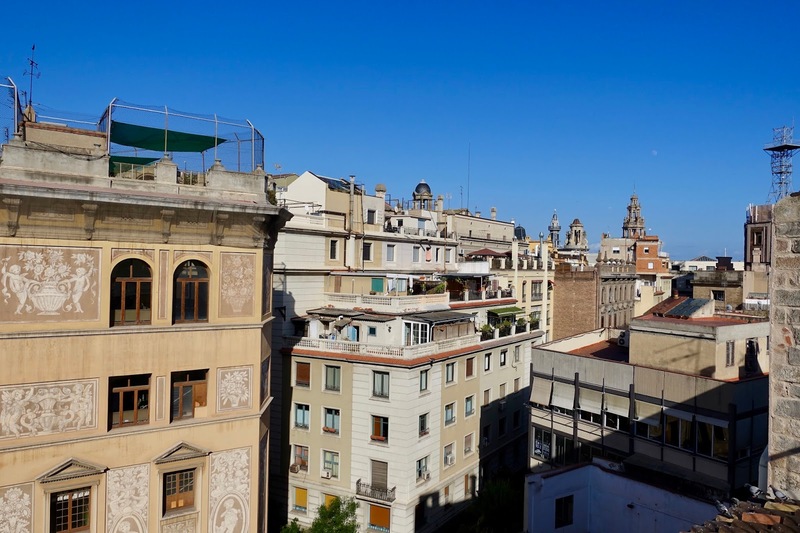 Its favorable setting in the Gothic Quarter together with a high performing staff makes it certainly one of the best choices for luxury lodging in Barcelona.